A majority (56%) of people who voted Conservative in May’s General Election believe that cabinet ministers should be free to campaign for either side ahead of the forthcoming EU Referendum, according to a new online poll from Survation on behalf of the Huffington Post for Conservative Party Conference. Less than a third of those voters believe that cabinet ministers should be required to support the government’s official position, seemingly showing that Conservative voters are in favour of collective ministerial responsibility being made redundant on this issue. With fieldwork conducted ahead of Survation & The Huffington Post’s “In Conversation With…” event at Conservative Party Conference in Manchester featuring Education Secretary Nicky Morgan, the poll also found that nearly three-quarters (74%) of the public believe that schools should confiscate the mobile phones of pupils during all lessons. At the fringe event, Morgan herself backed an idea to create wifi blackspots in classrooms to negate disruption to lessons. 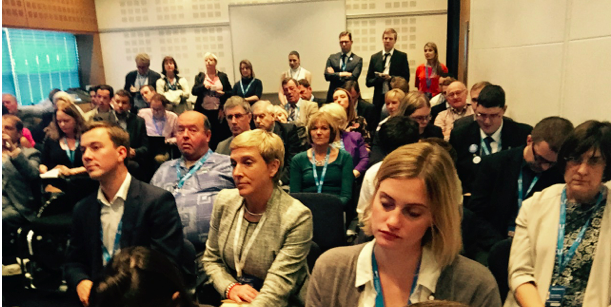 Survation interviewed 1,008 GB adults aged 18+ ahead of party conference season on the 21st – 22nd September 2015. Full tables are available here.